test.con is the graphical programming system used on some devices of the company Gantner Instruments. Die device series Q.series and e.series with the final designation ...T, as f.e. Q.station 101DT or Q.gate IPT are programmed with test.con. 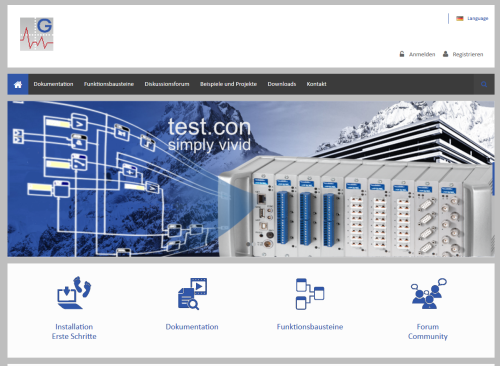 For further questions, please visit our test.con portal www.testcon.info, or for information about the hardware, visit www.gantner-instruments.com.